GET RID OF ROUGH HEELS & DEAD SKIN with our exfoliating foot peel mask just in 5-7 days. This innovative foot exfoliator helps you peel away calluses & dead skin and get baby soft feet you always been dreaming about. CONVENIENT & PRACTICAL – Use this foot scrubber with ease. Slip your feet in the boots for the recommended time & relax. No scrubbing & no pain. Baby foot peel will do everything, removing your dry dead skin & repairing your dry and cracking heels. NATURAL FEET EXFOLIATING & PEELING – Natural ingredients make this foot scrub peel your hard foot skin gently, without irritation. The natural ingredients work deeply in the old layers of skin. 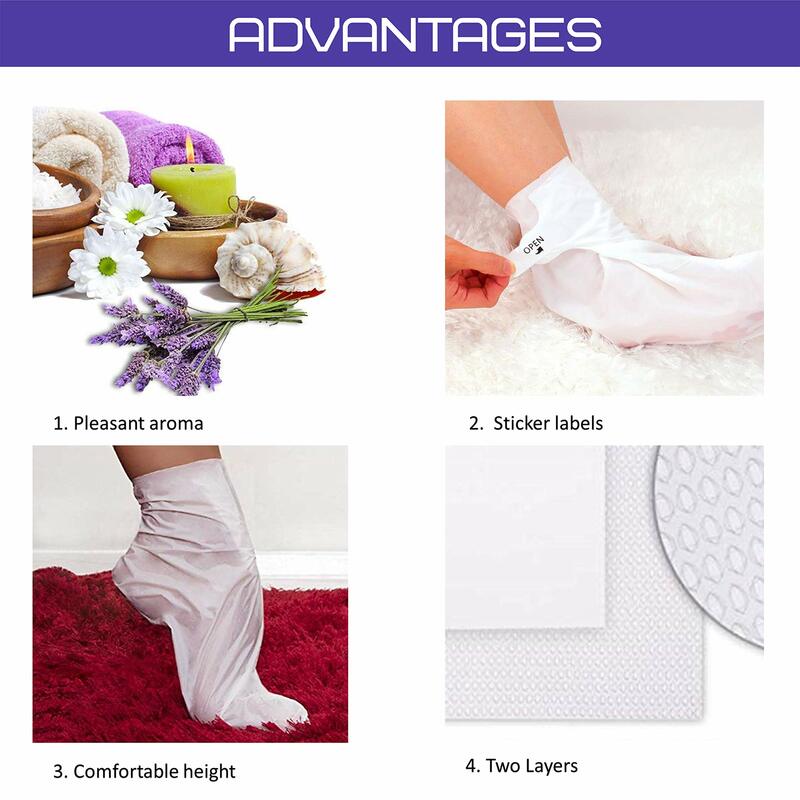 HEALTHY FOOT CARE – Totally safe for all skin types. 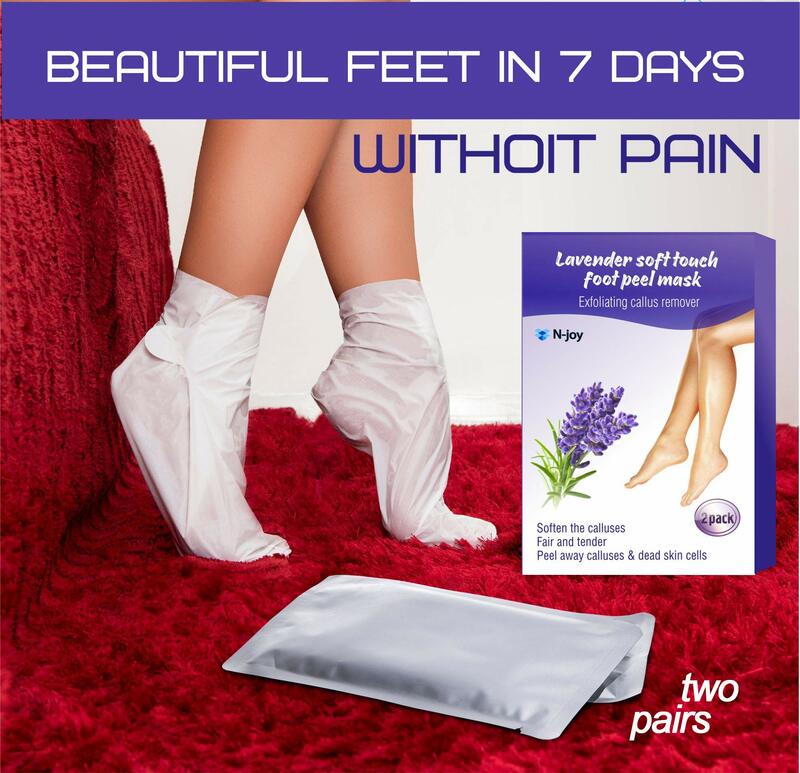 It’s a great peeling foot mask for men & women. This cool foot exfoliating mask comes with 2-foot peel mask booties. Leave 1 pair for the improved efficiency for the later use or share with your loved ones. HURRY UP – Take care of your feet and make them look healthy & beautiful.